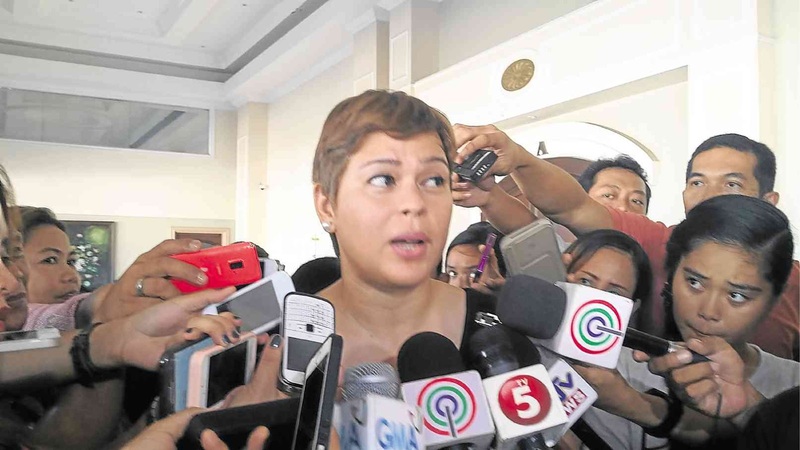 MANILA- Davao City Mayor Sara Duterte on Monday hit back at 'Pambangsang Katipunan ng mga Magbubukid - Southern Mindanao' Region for calling her a “hypocrite” after she condemned an attack by communist rebels over the weekend. “I maybe a hypocrite to you, but you are stupid to me and all the peace-loving Dabawenyos. Terrorists and fake organizations do not have the right to talk about social justice. Show me your faces and then maybe I will listen to your rant about social justice,” Duterte said in a statement released Monday. The group earlier released its own statement saying Duterte is a hypocrite since her husband, Mans Carpio, is a legal counsel of the Lorenzo-owned Lapanday Foods Corp, which the rebels attacked last Saturday. “For Sara Duterte to claim the NPA’s assault in the Lorenzo-owned businesses in Davao City a ‘personal insult,’ is not only hypocritical but downright self-serving,” the group said. They added that they are “overjoyed” with the NPA attack and accused the Lorenzos of exploiting workers and land grabbing. “We are overjoyed that the NPA punished the Lorenzos for oppressing peasants and Lumad who are victims of their direct land grabbing and exploitative schemes through onerous growership contracts,” they said. Communist rebels last Saturday attacked the Lapanday Foods Corp. in Davao City. They torched equipment and disarmed security guards inside the company. She added that she condemned the attack because she saw how a civilian suffered and that she was the one who first broke the news to the victim’s family. “The victim was the very person that you say should be defended from injustice,” she said. “So when I condemned what the NPA did, I spoke for Larry. But you did not know that, did you? You just assumed when I say personal, it is all about my life. Because that is how you are. You are selfish individuals and you think the world is all about you,” she added. “Look, you cannot even spell the word 'Pambansang' correctly. Bumbling idiots,” she said.